Home Happening Information News Services Trending SMART: LTE deployment Upgraded! 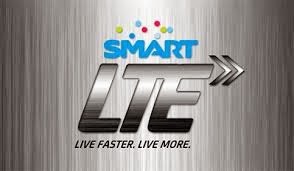 With the country’s demand on getting a high-speed internet services, the wireless service leader Smart Communications, Inc. (SMART), is deploying a total of 1,400 new LTE sites as it announces LTE (Long-Term Evolution), leveling up to provide an unparalleled fast internet experience. As part of its most advanced phase of innovation and by the current number of LTE sites in the country, SMART continue to roll out of the program for its LTE facilities, SMART is adding more 400 mobiles sites, majority of which will be in Metro Manila. To complement its mobile LTE services, it is also rolling out 1,000 additional TD-LTE sites to support its fixed wireless service to homes. This will bring high-speed mobile broadband speeds to more cities and municipalities in Bulacan, Cavite, Cebu, Laguna, Pampanga, Rizal, Metro Manila among many others. The announcement comes on the heels of Smart’s recent activation of its LTE-A network in Mactan Island, Cebu during the recently concluded 10th Asian Carriers Conference. During the event, Smart consistently recorded speeds of more than 100 Mbps using the next-generation mobile network technology. This is the second site Smart has fired up for its next-generation LTE-A network, also referred to as '5G' in some overseas markets. The Telco’s first LTE-A network initially went live at the JUMP Experience Center in Mandaluyong back in August. Smart is able to deploy a mix of fixed and wireless technologies because the PLDT Group has rolled out more than 90,000 kilometers of fiber-optic cables around the country. It has also modernized its mobile network to make more than 10,000 sites 4G, enabling it to quickly roll out LTE services via a simple software update. According to two of the most popular crowd sourced speed test apps in the market today (Speedtest by Ookla and Sensorly), Smart's mobile network has delivered the fastest download speeds to a wider set of users all around the country. Indeed, SMART is still the best network to beat; with good internet services and awesome mobile products. company today and can be a great marketing tool if used effectively.